The fourth studio album in the career of Seattle's Nevermore is a heavy duty selection of battle hardened progressive power metal. While Dead Heart In A Dead World does not attempt epic tracks, it also avoids bloat and vagaries, and instead achieves an admirably uniform high quality. The band has rarely sounded better. Jeff Loomis puts his guitar at the service of the music, still unleashing the solos but in a more complementary rather than dominating spirit. 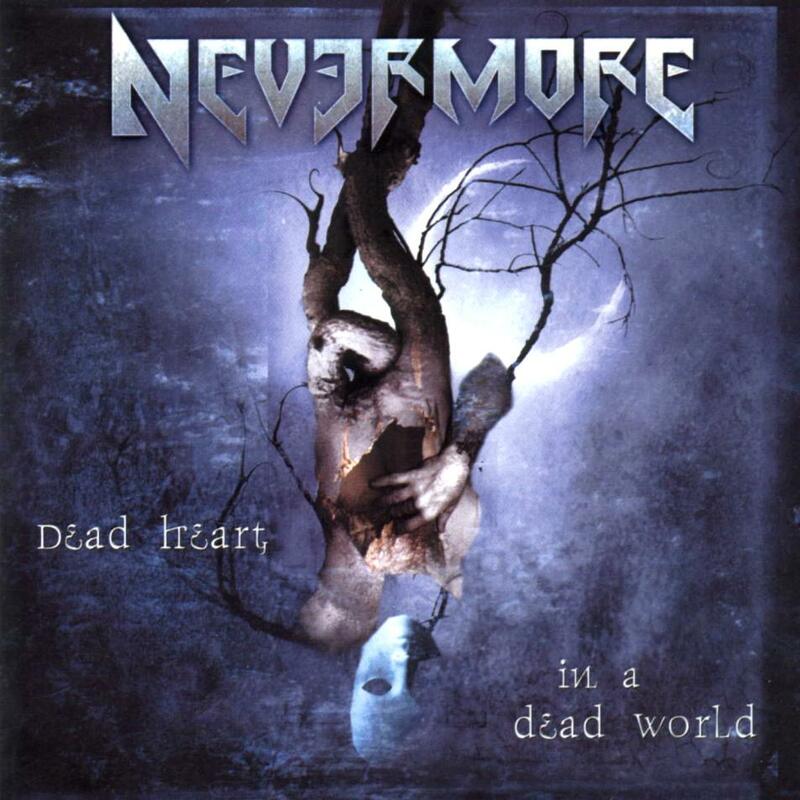 And Dead Heart In A Dead World likely features Warrel Dane's most interesting vocals on a Nevermore album, mixing up his tone, strength, and register to maintain a strong level of engagement. Nacrosynthesis opens the album with Van Williams and Loomis combining to create an incessant and frenzied heavy machine gun assault, Dane demonstrating a welcome versatility in vocal delivery. There are no better tracks on the CD, but The Heart Collector also shines: a much slower pace allows Loomis to stretch with more soul, and Dane to pack the sad lyrics with defiant emotion. The strength of Dead Heart In A Dead World is the album's consistency. On tracks like We Disintegrate and Inside Four Walls Nevermore maintain a sharp focus, the melodies crisply defined, the energy level high and the delivery sharp. The more thoughtful selections including Evolution 169 and Believe In Nothing trade speed for power that remains concentrated in the service of metal. And the gutsy decision to cover Simon and Garfunkel's The Sound Of Silence pays off with a metallic salute to a classic folk song. Nevermore clearly forgot to take their happy pills when they found the title to Dead Heart In A Dead World, but although the lyrics may be depressed, the musical product is excellent. Produced, Engineered, Mixed, and Mastered by Andy Sneap.